When it comes to facial oils, I’m a fan of beautiful blends that incorporate the best of the best oils. However, African Botanics’ Pure Marula Oil (brought to market by the lovely Julia Noik) challenges my preferences and has me reconsidering my bias toward blends. 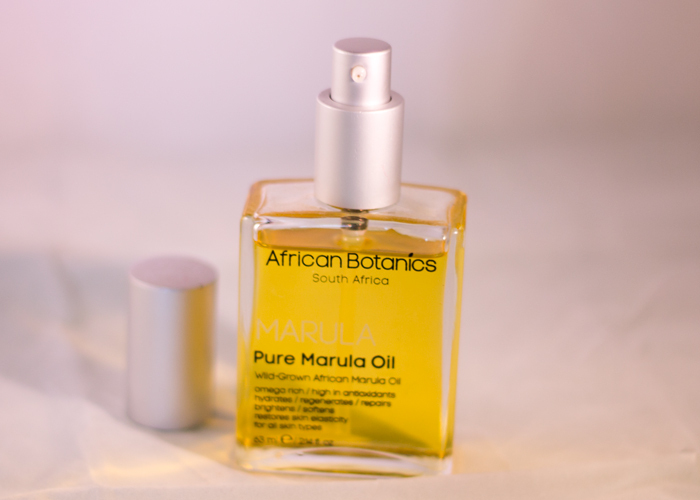 African Botanics Pure Marula Oil is a thick, golden oil that gradually sinks into your skin while leaving a slight sheen and protective barrier of vitamins C and E — essential for shielding your skin from the elements. If you’re oily-skinned like me and using this as a pre-makeup primer, allow a little extra time for it to absorb so your makeup won’t slip around. You can also go a little easier on the application — half a pump is really enough because this oil is so rich! If you have dry skin, you may still be able to get away with half a pump or just one pump max — this will quench your skin’s thirst. Besides the hydration factor and top-notch antioxidant content, what really draws me to African Botanics Pure Marula Oil is its scent. With most facial oil blends, you are almost guaranteed to have a gorgeous, complex scent thanks to layers of different carrier and essential oils. Most single oils have flatter, nutty scents (looking at you, beloved tamanu) that are enjoyable but can be a bit boring or, if you’ll humor me, just a bit too toasted-nutty. African Botanics Pure Marula Oil, though has a sweet, hard fruit candy-like scent — no toasted nuts here. 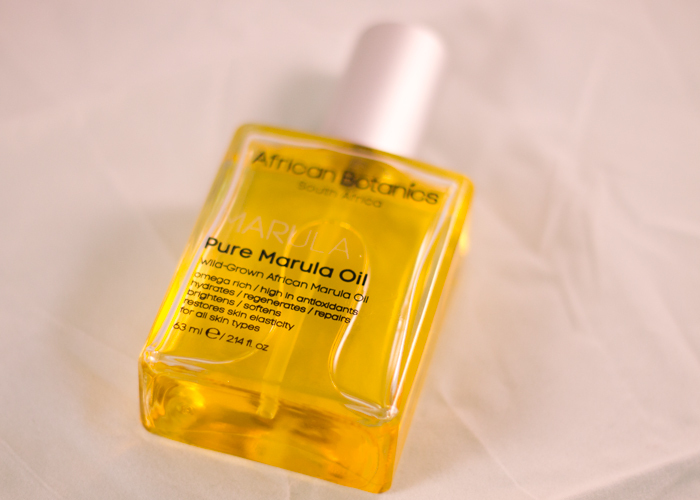 So you’d probably think that with a scent so sweet, African Botanics Pure Marula Oil must have something else in there. How can a marula tree nut smell so good? Alas, the simple ingredient list: Sclerocarya birrea (Marula Essential Oil). It’s just that simple, and that beautiful ingredient is packaged in a sleek, rectangular glass pump jar (love that) that will look chic on your vanity. I will repurchase this! Half a pump a day will last me so long, and I love that I can mix this with other oils if I get the itch to blend. Will you pay $80 for this 2.14-ounce bottle of beauty? Have you tried marula oil before? Tell me in the comments section!